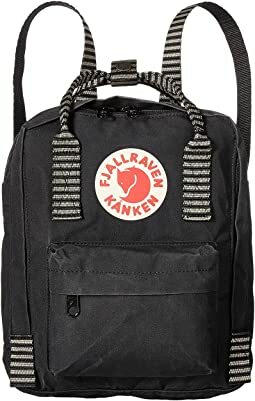 The story behind Fjällräven began in 1950 when Åke Nordin, a young boy from Northern Sweden, built a wooden frame to carry his supplies for a trek in the mountains. 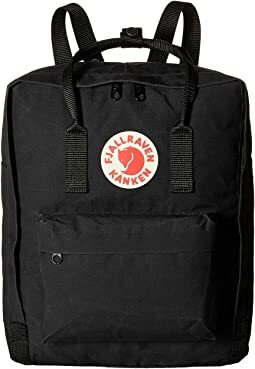 From that first backpack, an iconic brand was born, and has grown to include award-winning clothing and equipment for men, women and children. 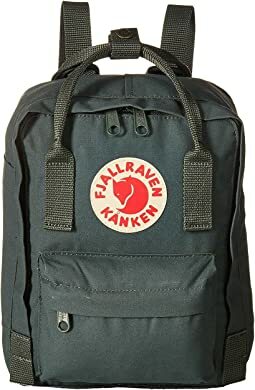 Fjällräven, which means "arctic fox" in Swedish, has become internationally renowned for its commitment to the production of durable, timeless, and progressive outdoor clothing and equipment. To this day, the brand remains dedicated to making the outdoors more accessible to everyone. Love this bag! I use it as a diaper bag for my toddler. It’s big enough to hold her iPad and other things I need, but it’s smaller than a typical backpack. It can go on my back or I can carry it by the handles. The zipper opening zips all the way around so its easy to pack things and get them out. It’s a good material that seems sturdy and it will last forever. It’s a cute bag that’s universal and it’s one of those items that gets better with age. It’s timeless so it’s worth the extra money! And the have so many cute colors it’s hard to choose one! Warning the dark colors like black and navy can get dusty or whiteish when it gets dirty, but not something that bothers me. So if that bothers you get a lighter color. I haven’t actually used these pants yet but plan to on some outdoor adventures next week. The fit is perfect and love the material and placement of pockets. The only thing that I didn’t realize is that even though I ordered Short, the pants come with a “raw hem” and the expectation that the wearer will have them hemmed. I’m 5’1 and had to shorten about 5”. Bummer to have to do this for the price. My daughter got this for Christmas for a class trip to Mexico she took over spring break. She loved it and uses it for everything. Perfect size and comfortable on her shoulders. 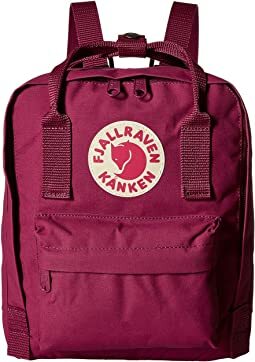 THE back pack to have for preteens and teens! Very well made and nice colors. Awesome bag. Fits a lot. Looks good. 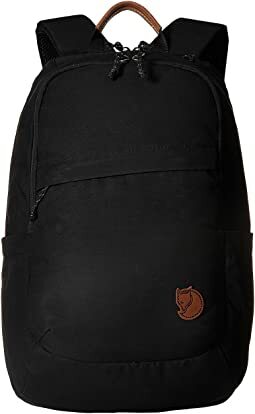 This is a great little backpack. 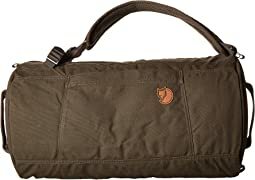 Very nice quality, good compartments, and not too big for everyday use. The style is classic and understated and there aren't a lot of extra straps and buckles, making this bag perfect for the office or daily carry-all. 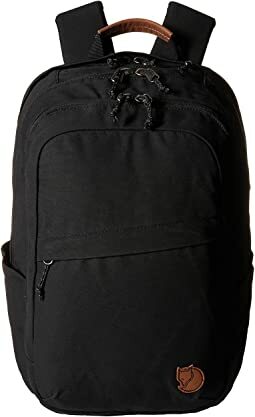 If you have tons of books, or need to pack enough for a weekend away, you might want a larger bag, although this backpack holds more than you would think. Fit was great except they are sized WAY TOO LONG. I consider myself "average" size but these were a good 8 inches too long for "regular" inseam. Mom bummed this was a little more canary yellow than I had hoped. 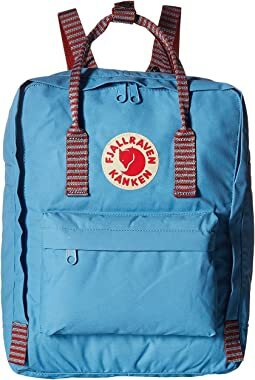 But the bag is cute and Kanken is always durable. We kept it because my daughter needed it for a Disney trip. Seemed like it would be warm. I have loved other items from this brand but I ended up returning because for the price, it looked really silly. Found another brand that seemed well-made and didn’t look as silly. Awesome. Expertly crafted. Will for sure fill my closet with this brand. 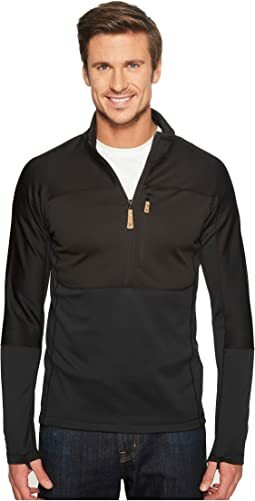 I was looking for a jacket to layer over a light down jacket for some extra protection against the elements in the winter, and hoping I would also be able to wear it alone in the spring and autumn. I think this jacket will probably do the trick. The sizing was difficult - I generally wear a small on top, but following the sizing chart pointed me to a medium. I thought I would give it a try since European brands can run small. Medium was huge. Small was pretty big, too. I ended up with extra small, which still gives me space to layer a jacket or vest under. The fabric feels substantial and the seams sturdy. The hip pockets are small, even too small to comfortably fit a pair of gloves, but the chest pockets are really nice and roomy. I can put my phone or wallet into them without noticeable bulging. The only other thing I don't love is that the hem is a little narrow on me - I'm hippier than the model, and while it isn't really tight, it starts to feel bulky if I have layers on. The fact that it zips up on the bottom does help, though. Love the teal color. This is really long! I don't know if it's made for tall Swedish women? I am short, 5'5" but it goes down mid-thigh. I might have returned it, but it's so nice otherwise. I love the fabric and the deep blue color, and the shoulders fit nicely. So I'll just wear it with skinny jeans and I'll know that it makes me look short because it's so long. 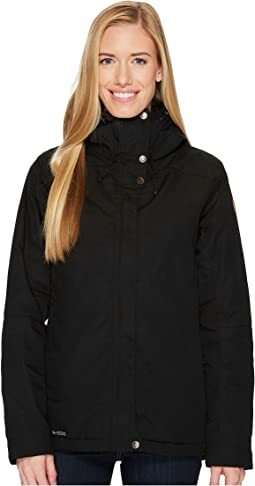 I bought the Fjällräven Skogsö Padded Jacket in XS, black. I 'm 5'1" and 128 lbs and the sizing was pretty accurate although I would have preferred the sleeve lengths to be a shorter by an inch or two. Pros: Pockets are big and inside the right pocket was another smaller pocket that I use for my phone so that it doesn't fall out when it is not zipped up. Kept me warm in about 30-40 degree weather. Had enough room that I could layer up with a sweater if needed. Has a hood but I've yet to put in on. Cons: Lint gets stuck on it. I bought this as a gift for my friends daughter and she LOVED it. 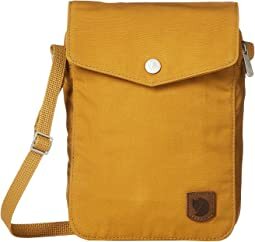 It is a great bag and really cute. Lots of pockets and I love the material. very durable. Oh how I love this little backpack! 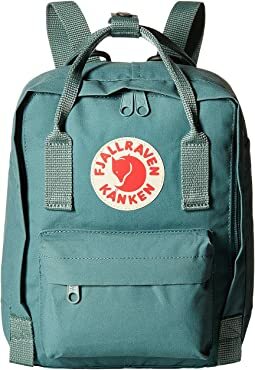 I had tried finding other mini backpacks, but finally caved and got the Kanken Mini. It was perfect for a trip through Utah. I could carry so much more than expected. Because it's not too big, it helped cut down on overpacking. I have a swell bottle, and it fit perfectly inside the bag. I bought in olive green, which was exactly as expected. LOVE this tote! Acorn is the perfect color and has received lots of compliments. This has just the perfect amount of organization I need for all my daily needs. I would love to get a second one in the “small” version as well. Lots of low-key pockets in this backpack. Quality construction. Bought it here to avoid counterfeit product. Super cute. Purchased for my teen daughter - she carries it everywhere instead of a purse. As others have said, it’s surprisingly spacious for a mini backpack. 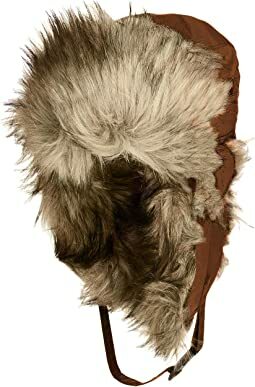 Seems to be quite durable along with making a fashion statement. This is a really nice jacket. I would not pay full price for it, but it is on sale currently. Beware, color is more of a green/blue and less bright; not the beautiful blue that the website depicts. Very frustrating that the color is totally depicted wrong. This was my only disappointment, and Zappos need to work on their color depiction. I run into this alot. It's not my monitor because color shows this way on any monitor I use. 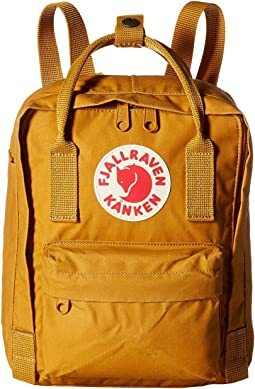 Fjallraven gives the choice of making this jacket really wind and waterproof by adding their wax to the coat. The wax can be purchased for $10 on it's website. Waterproofing will diminish after some washes, so the wax is a good idea and you can control the amount of resistance you want by how much wax you layer. It has basic waterproofing and wind resistance as it is, but if you are a trekker in a lot of in-climate weather, the wax is a nice option. You melt it in with an iron or hair dryer. This coat also has a "scuba" hood and a formed rim which projects out in front of face like a tunnel, totally keeping weather out. It's adjustable, works perfectly. Not a huge fan of the solid facing buckle style wise, but it works. This is a very nice belt but way too big. I didn’t see a length measurement but I figured it would be fine as a ladies belt. I’m a size 4 usually. 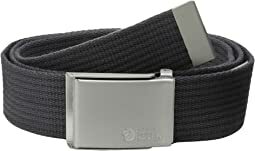 This belt is 46” long. Wraps around to my back! Had to return. Great quality. 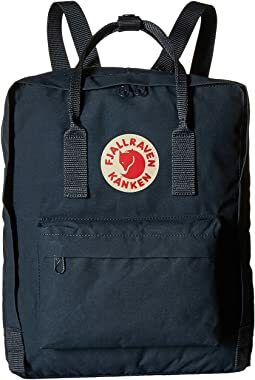 This bag is so well made and has everything that you’d want for traveling. It was just too big for what I needed.